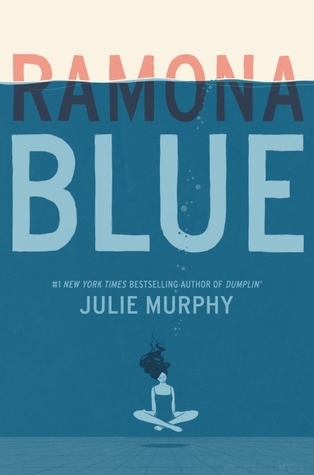 The Review: Ramona Blue is a story about a gay teenage girl who is struggling through each day dealing with the suffering from Hurricane Katrina which ruined her family home years before, her mother leaving, her older sister becoming pregnant by some loser guy and now she is questioning her sexuality. Ramona knows she likes girls, she has done since she can remember so there has never been any doubt there until her long lost friend Freddie moves back to her hometown and her feelings for him make her question she thinks she knows about herself. Ramona is a strong character who despite her family’s problems, she loves very much. She is very caring and loving for her sister. Despite their limited space in her family’s trailer she appreciates how much her father works and tries to care for them despite his low earnings. It’s why Ramona tries to help her sister so much. This proves how much of a loving character Ramona is and how loyal she is to her family. She really is a fab character! I have to say I think (from what I can remember) that this might be the first book I’ve ever read about a bi-sexual character. I like to think as an open minded reader I’ve read my share of diverse reads but then once in a while a new book will come along and then it’s opened me up to something different. I really enjoyed Ramona’s story. It’s different, it’s honest, it’s raw and it’s definitely an eye opening read that makes you understand what real people might just be going through on a normal day to day basis. Now if you ask me what’s my favourite between Dumplin’ and Ramona Blue, I have to admit, Dumplin’ is so far my favourite. I guess the one problem I had with Ramona Blue is how long the book is. It needed at least 100 pages taken off but other than that, I really enjoyed it and I can not wait to see what Julie will do next. Thank you to Harper360 UK for giving me the opportunity to review this book in exchange for an honest review.